Colorado fall colors are beautiful, especially when the aspens are a brilliant yellow amongst the evergergreens of blue spruce and pine trees. 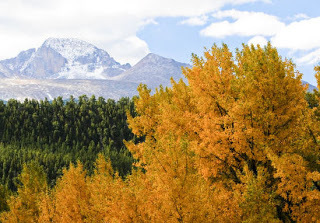 Colorado is well known for its aspens during the months of September and October. 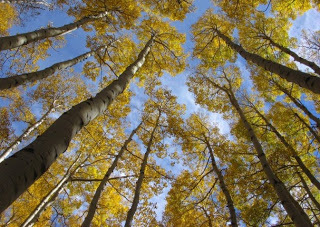 Right now the aspens are in their full glory here in the Pikes Peak region of the Rocky Mountains. Rocky Mountain Lodge & Cabins, near Colorado Springs, is located just minutes from some of the most beautiful fall foliage in Colorado. 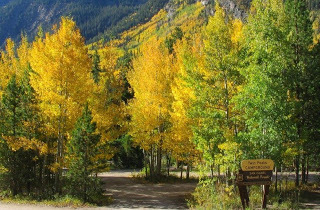 If you’d like to take a drive through some of the most spectacular fall colors we recommend the Colorado Scenic Byway Gold Belt Tour, where we send many of guests and make sure we drive through ourselves every year. The Gold Belt Tour follows historic railroad and stagecoach routes leading to North America’s greatest gold camp in Cripple Creek, Colorado, three world-class fossil sites, and numerous historic sites. The Shelf and Phantom Canyon Roads cut along unpaved routes through winding canyons. Five byway communities allow a glimpse into this area’s rich heritage. Stay in our Colorado Bed and Breakfast Lodge, our Colorado Cabin Rental, or our Colorado Vacation Cottage during fall foliage season (September thru October) and we’ll be happy to provide you a historical Colorado Gold Belt Tour Scenic Map, which includes historical tid bits and pictures. information about the Rocky Mountain Lodge & Cabins, check our availability calendar, see our specials and packages, and more. 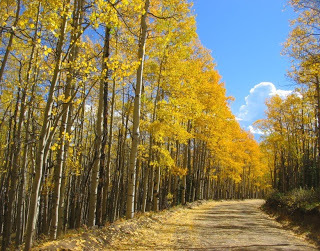 Come visit Colorado during the beautiful fall foliage season, you will not be disappointed!